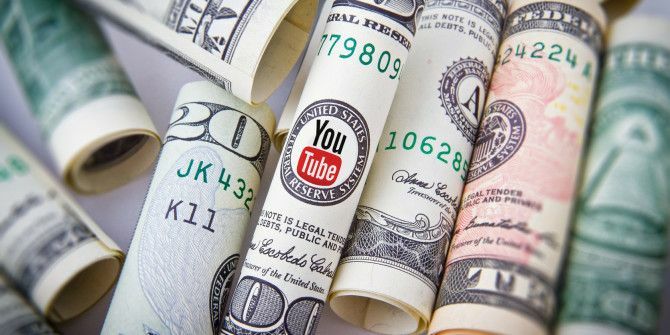 How Hard Is It to Make Money on YouTube? In today’s digital world, anyone can become a star with the help of a personal video camera and the internet. YouTube is the platform that has made many regular people more recognizable and more popular than actual Hollywood celebrities. However, before you push record, make sure you know all of the facts. Making money on YouTube is much harder than it looks. How Much Do You Make Per Ad Watch? There is no set amount for how much a YouTuber can make per ad. Google Adsense (like other online ad networks) uses two different types of ads, Cost Per Click (CPC) and Cost Per View (CPV). The payout for each is set by the advertisers. The type of ads a typical YouTuber receives is based on their set keywords and ad selection. According to TubeMogul, a video-ad-buying software company, the average CPV on pre-roll ads was $7.60 per 1,000 views in 2014. However, this rate can vary based on selection and ad engagement. For example, a video directed towards children might have over one million views, but if most kids are watching your video through YouTube’s children app, ads are blocked and you won’t get any ad views. On the other hand, a very targeted video with a higher ad rate can earn more with a niche video and active ad engagement. For example, a tech video explaining how to use Raspberry Pi on a Mac Getting Started With Raspberry Pi On The Mac Getting Started With Raspberry Pi On The Mac Apple users can get in on the Raspberry Pi game pretty easily, but there are a few different ways to image a microSD card using your Mac. 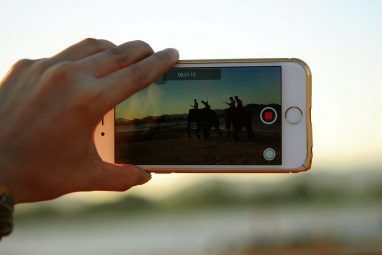 Read More might only get 40,000 views, but if the viewers actively clicked on ads from higher-paying tech advertisers, that video could earn more than a video with over one million views. Most of the big names you know on YouTube had humble beginnings. Zoe Sugg, better known as Zoella, uploaded her first video in 2009; it was a very low-resolution video of her showing the camera 60 items from her bedroom. Lilly Singh, a.k.a. IISuperwomanII, had a similar start. Although she had always wanted to be an entertainer, she felt that it wasn’t a realistic dream. After she received her bachelor’s degree in psychology, her father urged her to continue on to get her master’s. However, she wasn’t happy and stumbled on YouTube instead. She spontaneously made a video and was thrilled to get 70 views. PewDiePie — who now has his own show We Watched Scare PewDiePie So You Don't Have To We Watched Scare PewDiePie So You Don't Have To Are these YouTube Red Originals worth the price tag? We watched the first batch so, well, you don't have to. Here's what we thought... Read More — stopped pursuing his industrial economics degree in order to focus on YouTube videos, which at the time was considered more of a hobby than a career path. His parents did not support his decision, and he ended up working at a hotdog stand to support himself. One thing these three YouTubers have in common, along with several other top earners These YouTubers Are Earning Millions: What's Their Secret? These YouTubers Are Earning Millions: What's Their Secret? Here is a list of the biggest channels on YouTube and how they got to be so popular. Who know, perhaps you'll learn the secret to making it big on YouTube. Read More , is that they are pioneers in the field. They jumped on the YouTube bandwagon early on, gaining a huge following before becoming a YouTuber was a popular thing to do. It is still possible for new people to become successful on YouTube, but now there is much more competition. YouTube stars do not necessarily get rich How to Get Rich: The Fastest Way to Get Out of Debt How to Get Rich: The Fastest Way to Get Out of Debt Imagine being debt free. No overdrawn balances or unpaid bills. There is a foolproof way of getting yourself out of debt. It starts with a plan and some discipline. Let's visit the other ingredients. Read More off of ad clicks and views. If this were true, any person who posted a viral video should be instantly rich. For example, the clip of funny Southwest flight attendant Marty Cobb went viral and has over 22 million views. While the video landed Cobb a spot competing on Amazing Race, as well over $20,000 in gifts on Ellen Degeneres’ show, she will not be joining the other Youtube high-earners. Todrick Hall: Hall makes music video compilations and skits. He has over 2 million subscribers, and his most popular video has over 17 million views. He was offered his own MTV show and has performed on Broadway several times. At a $3 million net worth evaluation, some of Hall’s earnings are from his own concerts. Lilly Singh: Singh has an estimated net worth of $2.5 million. Singh uploads funny videos and skits and has surpassed one billion views on her videos. The Canadian YouTube star also sells clothes, has a book releasing in March 2017, and numerous endorsement deals. Zoe Sugg: Between Sugg’s two channels, she has over 15 million subscribers. The 26-year old British YouTube star has an estimated net worth of $3.5 million. The majority of her earnings come from advertisements, her beauty line, and her book. Cassey Ho: Ho is the creator of the workout channel Blogilates. She has an estimated net worth of $2 million. Her earnings are from her workout wear and gear line, her POP Pilates workout, and advertisements. As you can see, it’s not just about getting more views Want More YouTube Views? 5 Key Tips To Follow Want More YouTube Views? 5 Key Tips To Follow Here’s the situation: you've been putting out YouTube videos for a while now and you aren't sure why your viewership hasn't skyrocketed. It’s not uncommon, and people ask how to increase video views all the... Read More . It’s about establishing yourself as an online celebrity. 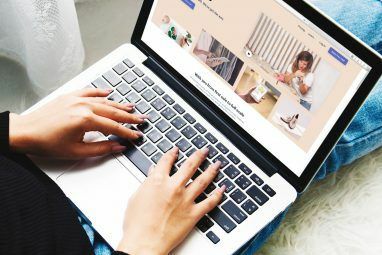 According to the New York Times, “YouTube is an awesome place to build a brand, but it is a horrible place to build a business 10 Low-Cost Ideas for Online Businesses You Can Start 10 Low-Cost Ideas for Online Businesses You Can Start If you've ever wanted to start a business, now is the time! Here are 10 ideas for free or low-cost business you can start online to make your fortune. Read More .” You want to wrap a business model around your YouTube channel. 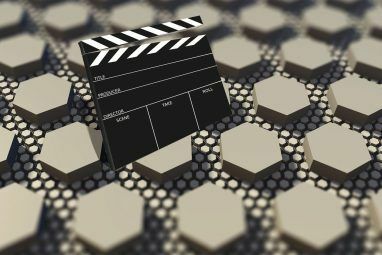 Don’t just rely on your videos to make you money; instead, have your videos be a bigger part of your business picture. Consulting: If you are an expert at something, you can offer consultations. Affiliate Sales: Review products you are passionate about and that fit your niche, then link to the product in your description. You will earn a portion of each sale. Fan Support: Fans want their favorite YouTubers to continue making videos, so many times they will give financial or material gifts. Speaking: Again, if you are an expert in your field, others might hire you to speak at an event. Products: Whether it be a digital product like an ebook or online course, or a physical line like makeup or shirts, it is a good idea to have a product to point to. Other Advertisers: Money made through advertising other brands can be more profitable than Adsense. Many times a brand will contact a YouTuber and agree on a set advertising price. This allows the YouTuber to earn that money, no matter how many views that video receives. If you are interested in starting a YouTube channel, then it is going to take more than just viral videos. Having a strong brand and business plan in place can make your Youtube earnings go further. As you can see, it’s not easy, and it’ll require a lot of careful thought. But it can be done, and if you set your mind to it, you can be successful. Are you interested in making money on YouTube? Have you started, or do you hope to start soon? Do you have a plan beyond making videos that people like to watch? Share your thoughts in the comments below! Image credits: Rego – d4u.hu, Gage Skidmore. Explore more about: Business Technology, Make Money Online, YouTube. I have a Youtube channel, though mainly as a deposit for ideas that I like to share. I have made a few pounds over the years from ads but that's not the main motivation. I had an idea about a DaVinci bridge design that I felt was more in line with DaVinci intentions and posted a very basic video on my findings on Youtube. This inspired a student in Germany to investigate DaVinci work in more detail, her findings eventually becoming the topic for her PHD. It sure would be great to make loads of money but sometimes it is sufficiently satisfying to just pass on ideas and help others. Have traveled to all seven continents in four years. Writing a book detailing my adventure. Am planning on living in other countries and shooting with a GoPro 15 min videos daily. Wasn't planning on earning any money with my world travels until a friend suggested that I monetize my activities, It's a marketable product as others will live vicariously through me as I travel the world. This is awesome that realizing your dream is paying your and your family's expenses. Travel Videos are quite popular these days on Youtube, I am myself a big fan of Travelling Blogs. Please share the link to your YT channel. The best advice in this blog was "As you can see, it’s not just about getting more views. It’s about establishing yourself as an online celebrity." It stood true in the success story of every famous Youtube Vlogger. Once you establish yourself as a stale Youtuber, you can also do Product Placement and Brand promotions for big companies out there who looking for stable Youtubers. Once you Tie-Up with them, they can pay you more money than you can think of or more than Adsense money alone can. You must definitely go out for Brand Promotions to make your traveling journey more exciting and promising. Yes, i am very interested. A friend of mine recently suggested that I monetize my world travel. Went to all seven continents in four years. The end of this year 2017 I will be living in numerous countries while visiting the iconic sites and participating in various activities that the country offers. Was planning this for awhile now, but wasn't planning on earning any money from it. I'm young and healthy and don't need to work. I figure this will be my job. I feel this will be a marketable product as many people will live vicariously through me. Could use some help with the right approach. i will buy a GoPro, mount it on a helmet, and shoot 15 min videos from whatever country I'm living in as I do the activities.